A substantial amount of feminist activism exists in the digital space—online and in social media. 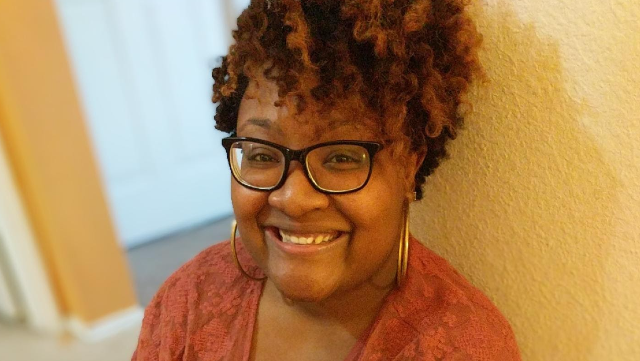 Doctoral student Briana Barner thinks it is essential to capture and retain these markers and study them to understand feminist movements, particularly those impacting women and girls of color. Since the presidential election last November, Barner, a doctoral student in media studies at the University of Texas at Austin, has found that social media has become a vital part of communication, organizing and resistance. It is not only scholarly posts, but Twitter, Instagram, Snapchat and Facebook have become sources of news, information and conversation. In a presentation at the NASPA conference in March, Barner examined how digital sources impact the way people perceive major events, such as the women's marches that took place in January. Unquestionably, the election and the new administration have changed the way we interact on social media. Barner double-majored in Africana women's studies and journalism and media studies at Bennett College NC and earned a master's degree in women's and gender studies at Texas. She doesn't currently watch much live television and gathers much of her information from Facebook and Twitter as well as viewing the CNN app. She's refining her own social media literacy. Although it's presumed that millennials have social media literacy, Barner says that isn't the case. People have to learn how to discern legitimate news. In speaking to higher education professionals at the NASPA conference, Barner emphasized the importance of incorporating digital media into the learning process and also reaching out beyond the academic community to share knowledge. Barner says she uses social media as a form of activism. On Facebook, she tries to share a variety of articles that she finds important. Largely overlooked articles are important to raise consciousness. When studying feminism in the digital space, it's important to gauge and promote both access and understanding. Black women and girls are particularly targeted for negativity online. Barner would like to see information and instruction developed about how to deal with online trolls, how to address misogyny and racism on social media and how to effectively disseminate and receive information—and then creating media that uplifts black women and girls, which would involve learning how to create web series, podcasts and other digital content that can be produced relatively simply with a smartphone or computer. The average young woman, even a college student, may not be aware of feminist issues unless she takes a women's and gender studies course. Social media provides a forum to introduce a diverse representation of gender-related topics. In her NASPA presentation, she noted, “Hip-hop feminism is interested in practicing public pedagogy. Social media makes this easier.” Public pedagogy connects classroom learning with real-world civic engagement. Barner likens it to fourth-wave feminism and intersectional feminism. Barner gives herself as an example. Social media is a place where she connects with other feminists and disseminates her ideas. It's something she wants to see cultivated and appreciated in an academic context even if the feminist work is neither generated nor tied to an academic setting. Barner expresses concern that because a lot of the activism is happening digitally, it may be lost or forgotten. It begins with accurate acknowledgment. To properly preserve black women's history, there needs to be effective archiving, so that the narrative isn't destroyed.